Member artists meet outdoors on the beautiful grounds of Rodman Hall Art Centre to explore arts and nature in community. This program runs all summer long on Monday’s from 1-3 pm for the following dates: June 4th, 11th, 18th, 25th; July 9th, 16th, 23rd, 30th; August 7th, 13th, 20th, 27th. *** We have added a new date Tues, Aug 7th 1-3 pm. Each week we explore a different art medium or discipline (music, creative writing, watercolour, sketching, charcoal etc.) These classes are designed for playful discovery and expression. We call these classes “Make and Takes!” No art showcase in mind this summer, just easy outdoor art making with a great group of people. New members are always welcome to join. Check out this blog post for weekly updates! Creative writing was the first topic of this 11 week series. Click here to view member artists Steve Plews’ poem and images and here to view Fred Bowering’s Facebook post. Clay was the medium for the second exploration class. 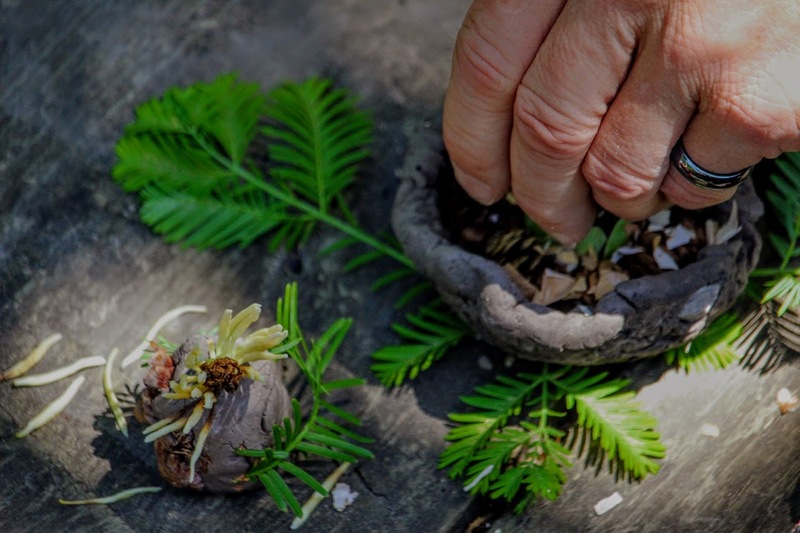 Member artists incorporated pieces of nature into our clay creations. Click here to view the art work and here to view Fred Bowering’s Facebook post. Click here to view Emily Beth’s images. CANCELED Due to extreme weather conditions. We will be exploring watercolour on July 16, 2018. Volunteer and friend of the Willow Community Trevor Homeniuk led an oil pastel exploration class. Clickhere to see images from the day and here to view member artist Rick’s photos. Member artists Mark and Farrow led a fantastic watercolour exploration class on the back patio at Rodman Hall. Click here to view the artwork from the class. Memberships are free. All classes are free. Members are: 18+, have lived experience of mental health and/or addictions, and are interested in creating art, exploring the arts, and developing their artistic talents.